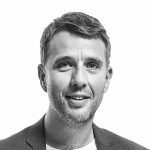 Processing acquisition agreements without using a single sheet of paper, that’s E.ON EContracts in a nutshell. 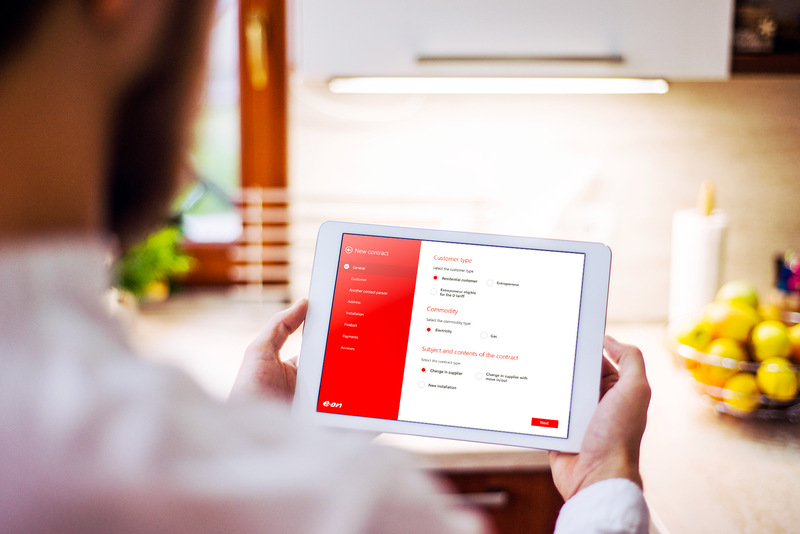 We developed this solution for E.ON Energie, consisting of a mobile and web application. The mobile app is used by salesmen to conclude contracts with their clients in line with the applicable legislation using biometric signatures. 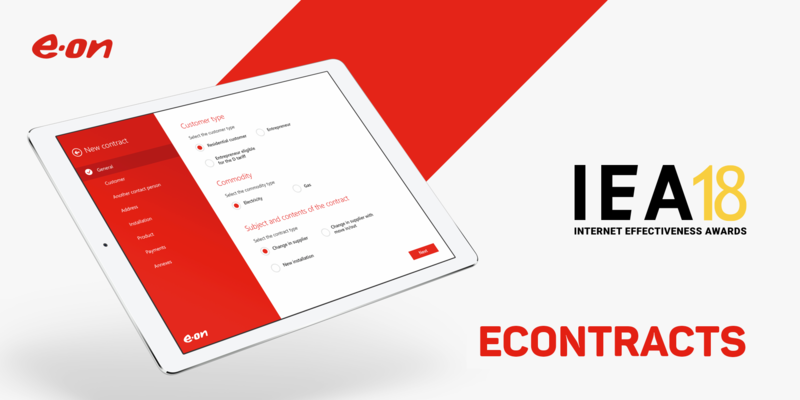 The web app is used by E.ON clients for concluding e-contracts online. After implementing this solution, the time needed for the whole process was reduced from three weeks to three days. 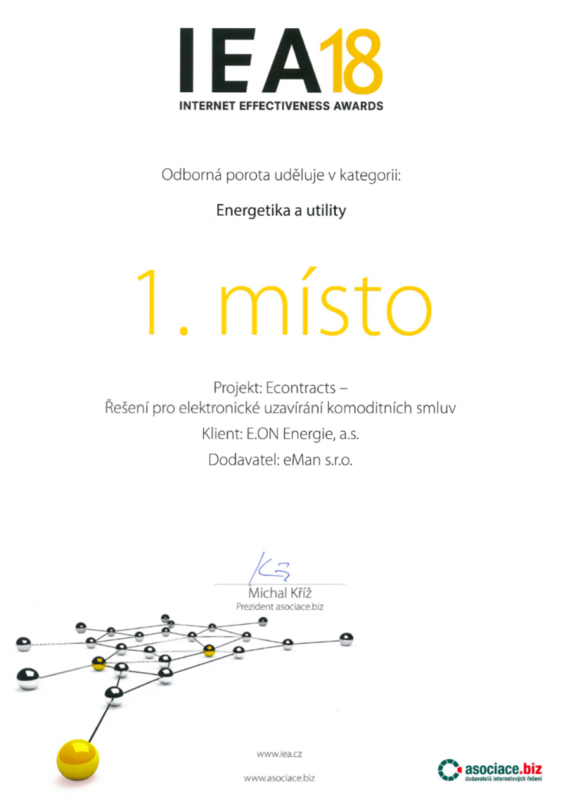 The solution was among the finalists of the IT Project of 2017 competition. And it dominated the energy and utility category in the 2018 Internet Effectiveness Awards. The ŠKODA OneApp already won the IT Project of 2017 award. 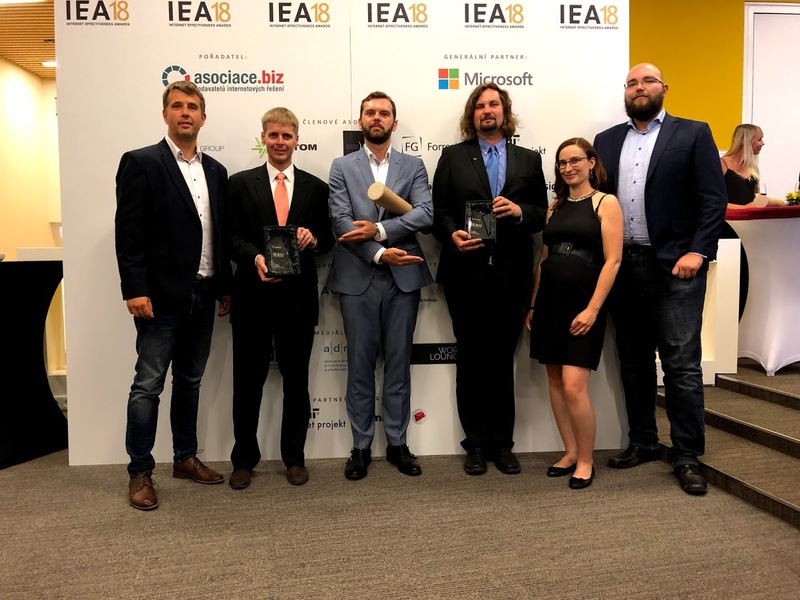 And it came second in the mobile apps category in IEA 2018. 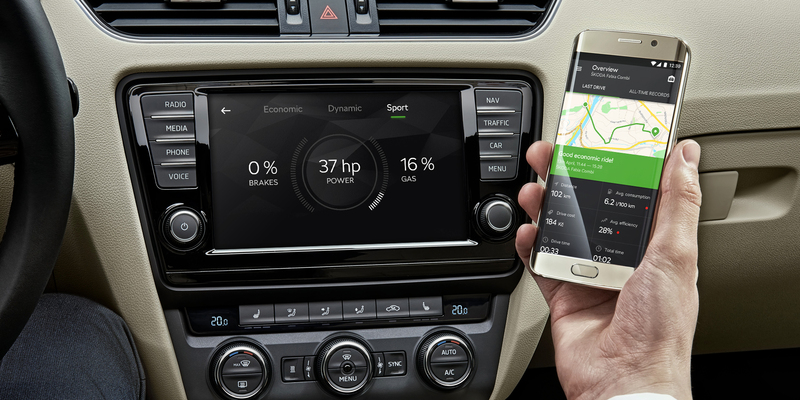 It’s one of the key applications for ŠKODA AUTO and its purpose is to connect a car with a smartphone. It’s an infotainment system for drivers who enjoy the ride.